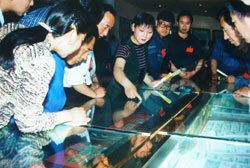 China Currency Museum is a special national museum affiliated to the central bank of People's Bank of China. It focuses on the collection, exhibition and study of currencies. The museum has basic displays and special exhibitions. 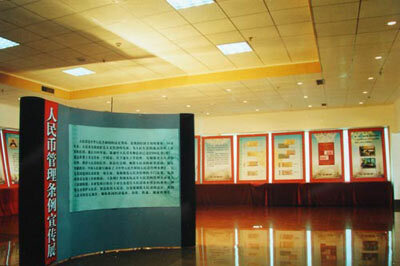 The former is placed in the currency showroom inside the headquarters of People's Bank of China. 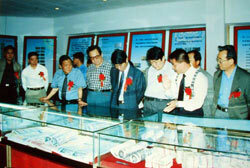 Because the basic displays are inside the office building of the bank, the audience should reserve the time for visit. The basic displays temporarily are not open to the public. The special exhibitions are inside the Special Exhibition Department of China Currency Museum, west of Tian'anmen Square. It has been opened to the public since August, 1999. The museum houses nearly 300,000 items of currency or relevant cultural relics. They are divided into six categories: ancient currencies, gold and silver currencies, paper currencies, currencies of minorities, foreign currencies, and cultural relics relevant to currencies. They are well preserved and stored in the museum. Golden and silver currencies, contemporary currencies, and foreign currencies are the representatives of the collections.